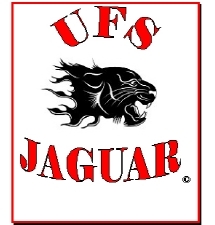 The UFS Jaguar MP series is a high efficiency absolute rated pleated filter cartridge, offering an economical solution for your filtration needs. The Polypropylene filter cartridge is constructed by 100% virgin polypropylene media, providing a high particle retention rate and broad range of chemical compatibility. The Jaguar MP Filter cartridge is designed to meet the special needs where high levels of purity are essential. The high effective surface area combined with a high voids volume give this filter a very high dirt holding capacity and reliable retention rate. This filter is non fibre releasing, This filter cartridge competes with the full range of products in the marketplace and is a true absolute rated filter cartridge. Available to fit all housings . Please beware if you are looking to replace a nominally rated filter with the Jaguar MP (Fileder PPP for example). Absolute rated filters are generally 99.9% effieicnt or better. To compete with the 1 micron PPP we would offer a 30 micron filter for a similar removal rating. Please call us at any time for help advice or guidance. High filtering efficiency – Fixed pore construction eliminates dirt unloading as differential pressure increases and provides ultimate particle retention efficiency. 2 Long life time use – High surface area design provides superior flow rates and a very high dirt holding capacity offering extended on stream life. 3. Cartridges are designed to meet the special needs of the electronics and high purity chemical and water industries. Modules are assembled and manufactured in clean room conditions. 6. Sterilization –PP filters may be autoclaved (121�Ž, 30minutes cycles) or in situ steam sterilised (125 �Ž, 30 minutes cycles) for a maximum accumulated exposure of 10 hours. 7. 100% hand inspection and assembly to ensure total filter integrity. The Jaguar Range of membrane filters are available from stock at CFS and are 100% integrity testable and validated. 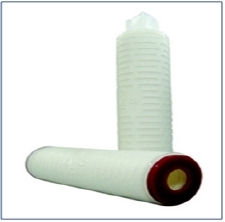 These filters use the highest grade Polyethersulphone membrane and are validated to remove bacteria in line with HIMA (Health industry manufacturers) guidelines. Available in 0.1 , 0.2, 0.45, 0.65 and 1.2 micron ratings and with a high effective surface area these filters can be the answer to a wide range of aplications where critical filtration is esscential.